Trending Topics: Uncategorized•Baseco Missions, in the Name of Jesus Christ•missions•Peoples Stories/Personal Accounts•Teachings, Inspirations. 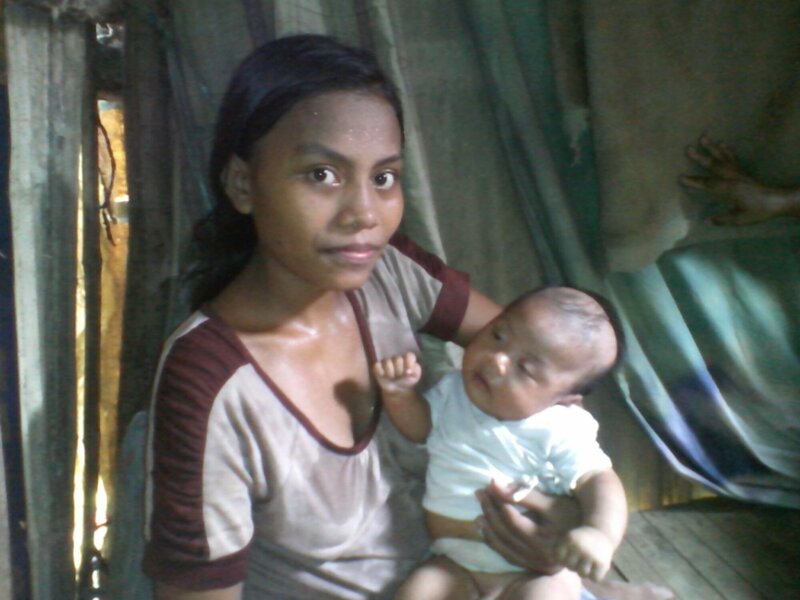 This is Ugelyn Roxas, she is 21 years old and her husband Joey is 22. This is their second child, they have a small daughter who lives in the province with the grandmother. They came to manila hoping for a better life, planning to send for their daughter when they found success. Things have been very tough for this young family, but thanks to a birthing better babies sponsor from Australia things are improving! Baby Jerome is a healthy and chubby little boy, he is being breast fed and is thriving. Each Tuesday morning we have a bible study in Ugelyns tiny little house and two weeks ago the 6 people who attended gave their hearts to Jesus. Opportunities and blessings opened to many because of BBB! This week we are doing a big deworming in their area, so more opportunity to bless more people. Thanks to all the BBB sponsors.